Half page of notes showing students how to read closely and write about the diction of a piece. I used a paragraph from The Great Gatsby as sample text to take students through what to look for and how to write a short piece of analysis based on language. I usually have my students glue this into the notes section of their writer's notebook to refer back to later. 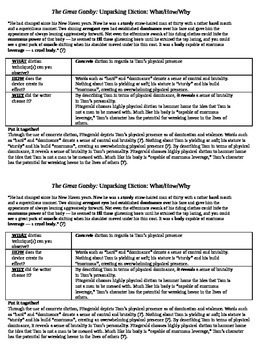 Notes are formatted to fit two to a page to help save on copy paper.